Back in the days it used to take weeks if not months to get an online store running and could also easily cost thousands of dollars. Luckily those days are long gone. These days it is possible open your own ecommerce business in one evening and for far less than $100. This positive development is the result of the now widely available e-commerce platforms. However, the prevalence of the ecommerce solutions also means that it can be hard to pick between them and choose the one that is best for your needs. On this review page I will quickly introduce four different ecommerce platforms that are right now good choices for launching your store. For three of the platforms you can already now also find a full up-to-date review of the service, and the fourth review is coming soon. The most popular service is not always the best service, but in the case of Shopify it likely is. Shopify offers a great solution for any aspiring internet store owner: The themes, for example, that you can find at this platform are among the very best online, they look good, generate sales and adjust automatically to all the different screen sizes – and this fits for the free and paid templates alike. Shopify also accepts an extremely large number of different payment methods, making it easy for your customers to pay at your store. 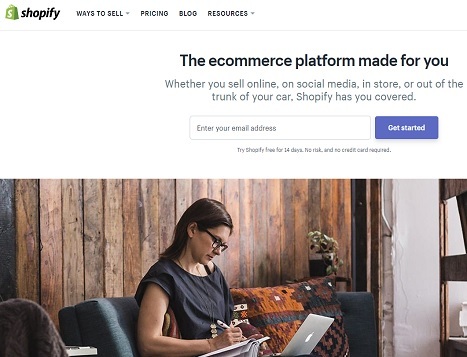 And what is also great, is that the platform doesn’t cost too much to use – indeed when you consider the actual cost of opening a store, Shopify ranks among the cheapest options that still offer high quality service. Full review of Shopify. There are some special (mainly related to selling very few, but expensive products) cases in which Squarespace might actually even be a better choice than Shopify, but on average it is not as good of a choice. The big difference is that Squarespace doesn’t focus all that heavily on ecommerce, and is instead focused on helping people create other type of nice looking websites. On average Squarespace is also bit more expensive to get started with than the other ecommerce platforms introduced on this page. 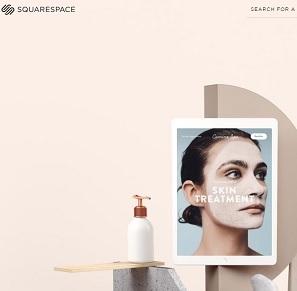 Complete Squarespace ecommerce review. 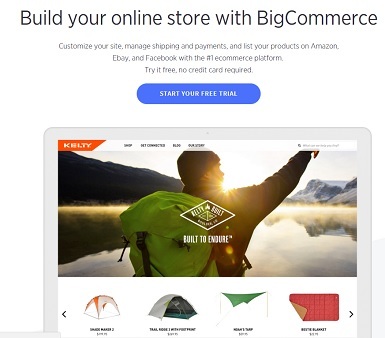 Bigcommerce has many similarities to Shopify and might in some respects even be slightly better. It, for example, offers a one day longer free trial (15 vs. 14) than the other platforms introduced on this page. However, there is something that I really dislike about this platform: their different plans are capped when it comes to the amount of online sales you can do while using the plan. So, for example, if you are using their cheapest option, the “Standard” plan you can only sell $50,000 worth online in a 12-month period before you need to upgrade to a more expensive plan. This “feature” just seems like it should not exist, in my opinion the platforms should celebrate the success of all of their merchants, not use the success as an excuse for charging more for the service. 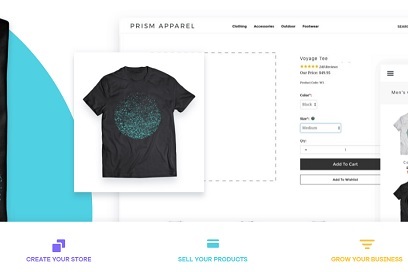 I would label Volusion as a relatively good option for creating an online store. However, it could also certainly be better. They should, for example, offer a free SSL certificate for their customers (like the three options above this one all do), instead of charging a fairly high price for it. Their themes could also look bit better, especially when it comes to the free options. Volusion review. Regardless of whatever you have plenty of experience with selling online or if you are just getting started, there are some things that you should make sure that an online store builder you choose has. 1. Reasonable price over the long term. Running an online store is marathon not a sprit. So, make sure that whatever solution and plan you choose is such that you can afford to pay for it, even if the store doesn’t achieve quick success. Even though initial discounts are obviously nice when it comes to the plan’s price, you need to consider the actual price you are paying once the promotional pricing ends. 2. Good payment options for your customers. Regardless of how much the visitors to your store love your products, they are not going to turn into customers, if they can’t pay for them easily. So, make sure that the platform you choose has the right payment options. Exactly what is “right” might obviously change from a market to market. One of the worst things that could happen when running an ecommerce business is that the store you worked so hard on is often offline because the platform hosting the store is not reliable. So, if you have any hesitations about the reliability and security of some service, simply don’t pick them. 4. No crazy payment fees. Payment fees can really eat into your profits. So go through the payment fees (and the different payments fees for the different payment options) and make sure that they are reasonable when you are picking a platform. 5. Good and helpful customer service. Even though all the best ecommerce platforms are easy to use, there are always things with which you will need some guidance or assistance at some point. My recommendation is that, you actually try the customer service at the platform you are close to choosing – ask them a slightly difficult question about a problem (real or imaginary) that you have with your store and see what the response is. 6. History of improving the platform and introducing new store templates. Let’s face it, if you go to an online store and it looks like the store’s template has not been updated since 2005, you will be slightly suspicious about the store. And at some point in the future the same thing will happen to templates that look good in 2018. 7. An option to translate your store into additional languages and to accept different currencies. In many cases this might not be important when you are first launching your business, but as it starts to grow, you are likely to wonder if you could attract even more customers by having the store in multiple languages or by accepting multiple currencies. What type of products should you sell online in 2018? It could maybe be said that in general there are two types of ecommerce store owners: 1) those who want to create a store because they really love a certain product and 2) those who want to create a store because they really want to make money by selling products online. In an ideal case those two motivations are likely to be combined in the same person. 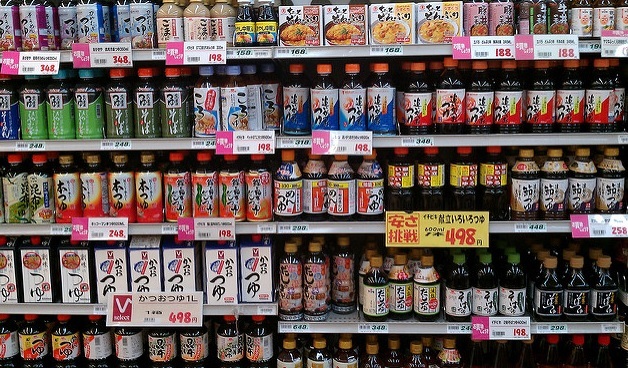 However, how should you choose a product to sell if you have trouble deciding between different options? Well luckily there are some ground rules that should help in choosing a product that is likely to do well from a financial point of view. 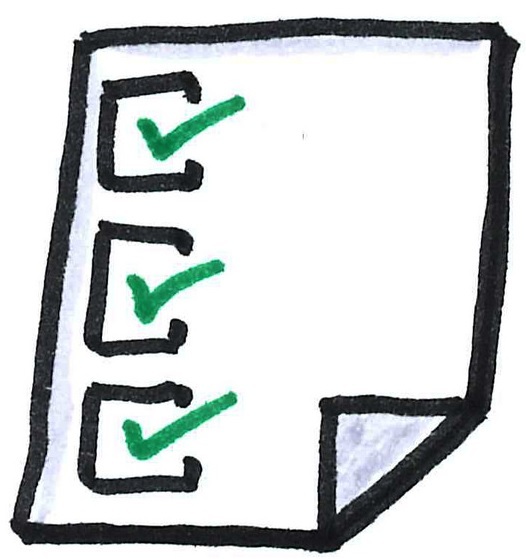 1: Make sure to that there is an adequate demand for the product. Your business will obviously simply not work if there are no interested customers. In order to gauge the interest, you should read forums, study search stats, look on social media and see what other ecommerce stores are selling. 2: Make sure that shipping the product is inexpensive and that the product doesn’t break easily when shipped. Shipping is where lot of ecommerce businesses run into problems. You can always do a couple of test runs if you have any concerns or doubts. 3: Pick a product that is easy to market online. You should ideally look for something that people actually care for, and something that people feel like will improve their lives – even if it is in a small way. It is much easier to create marketing content for that type of a product. 4: Be afraid of Amazon. Amazon sells almost everything and in lot of categories it is also the cheapest option for buyers. Why would a buyer choose your store if he or she can get the same product for a cheaper price and likely a faster delivery from Amazon? For this reason, you should really try to find a way to sell unique products, the uniqueness doesn’t mean that you have to invent a whole new product, but it means that there needs to be something that makes the consumer like your product that little bit more. What is changing in 2018 in e-commerce? As e-commerce has started to mature a bit, there are not many massive and sudden changes happening anymore. However, there are some trends that are expected to get even stronger in 2018. Maybe the biggest trend is that the competition is going to get lot tougher. Given how quick it is to create a store these days (can be done in 30 minutes) and how easy it is to source products to sell, it is no wonder that more and more hopefuls are entering the e-commerce game. In 2018 I'd expect especially two groups of people, and naturally even more so their intersection, to start getting more involved in the global e-commerce market: young people such as 18-year-olds and Chinese people. Young people have grown up with the internet and have a good handle of things such as social media and creating online content, so embracing e-commerce will come very naturally to them. On the other hand, people from China have the big advantage of being located close to where most of the cheap products sold online come from. And naturally when you are located close to where products originate from, you are more likely to find hot products and better equipped for negotiating good purchase-agreements, making it easier to compete against the other sellers.